The tidal River Thames runs through the heart of London and touches the lives of most people in the Capital – whether as a focus of economic activity, a place where people live, work and play; a natural environment to observe an abundant array of flora and fauna or simply as a source of inspiration, refreshment and pride. 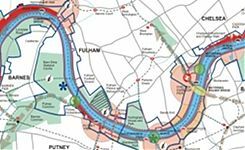 Against this backdrop, the Thames Strategy – Kew to Chelsea seeks to promote the River Thames and to encourage appropriate development along its banks as it becomes an increasingly ecologically diverse, clean and more socially accessible environment. 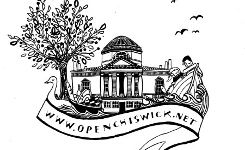 Explore the Open Chiswick pages. 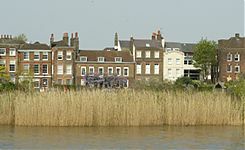 View a visitor map of the Thames. View the full Strategy document.